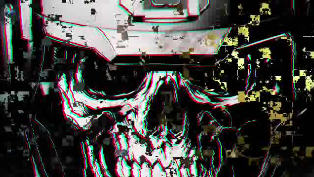 Is The Next Call Of Duty Game About To Be Revealed? I've never been a guy to jump on any news stories about future games until it is a matter of fact, but of late all these teases must mean something. A ton of leaked images for the next COD release with the name of Infinite Warfare have been doing the rounds on the Internet for a week or so now. This went up an extra notch recently when a Nuketown playlist was put into Black Ops III and the below ending can be seen by all when a match ends on the map. Since then we've also seen another video posted up on the official Call Of Duty channel, a channel which has also seen both its avatar and main image changed in the last few days. The video titled "Know Your Enemy" has a description that reads "Let the world bear witness to our ascension." The official COD Twitch channel is also streaming the Know Your Enemy video on a loop, which you can check out for yourself by clicking here. I guess something is in the works, but when will we start to see some more concrete facts nobody knows. Check out both videos below.